This is a third generation Tardiana-type seedling which was registered in 1988 by the British Hosta and Hemerocallis Society on behalf of the originator, Eric Smith. It grows into a medium size hosta about 13 inches in height with a spread of around 37 inches. Bluish lavender flowers bloom in August followed by viable seeds. According to The Hostapedia by Mark Zilis (2009), "This is the lone survivor of Eric Smith's third generation of Tardiana seedlings. For many years...was thought to be a miniature but it actually forms a medium-size clump." 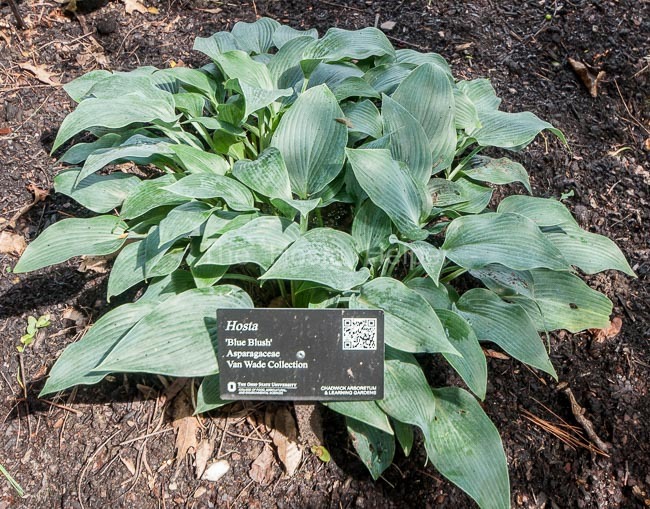 The New Encyclopedia of Hostas by Diana Grenfell (2009) states: "Among the smaller members of the Tardiana Group, taking time to increase in size."